In the August 2017 issue of Wood News, John McBride, The MadCap Woodwright, reviews his new set of Narex Bench Chisels and Narex Mortise Chisels. He offers a lot of useful thoughts on setting them up for use and gives his initial impression on working them into his shop rotation. 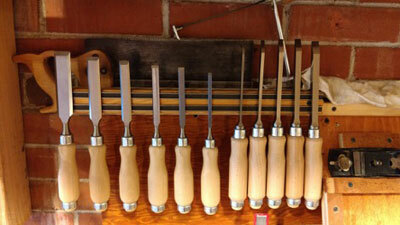 If you have been looking for a new set of chisels, read his thoughts!